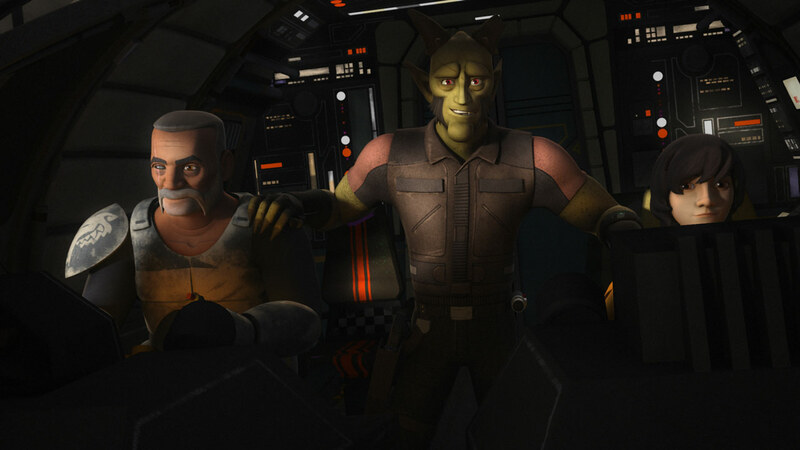 Star Wars Rebels comes to an end. 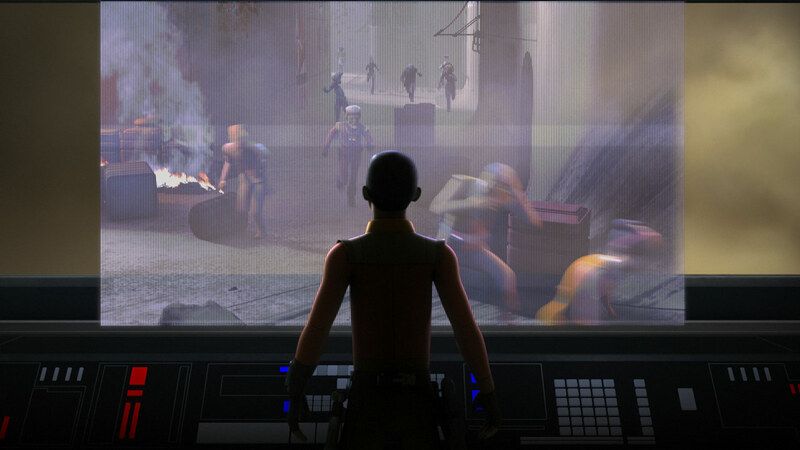 With the battle for Lothal finally here, the Ghost crew and their allies prepare for the fight of their lives. 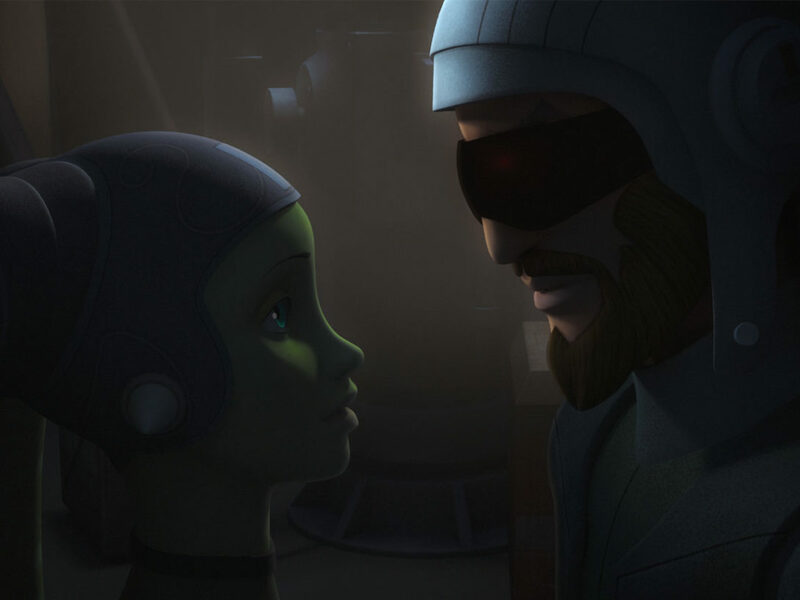 “Family Reunion — and Farewell” is the final episode of Star Wars Rebels and holds a number of moments we won’t soon forget. Here are my 10 favorites. 1. Ezra takes a moment. 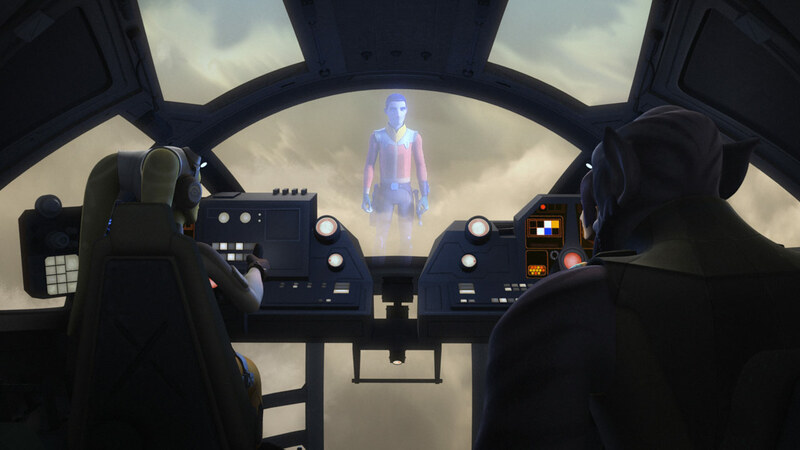 Everyone prepares for a mission differently and Ezra Bridger uses his time — before, perhaps, the greatest mission of his life — to talk to his parents. The scene sets up a series of events we’ll see later, but it also says so much about the impact Ezra’s parents have had on him throughout the series. 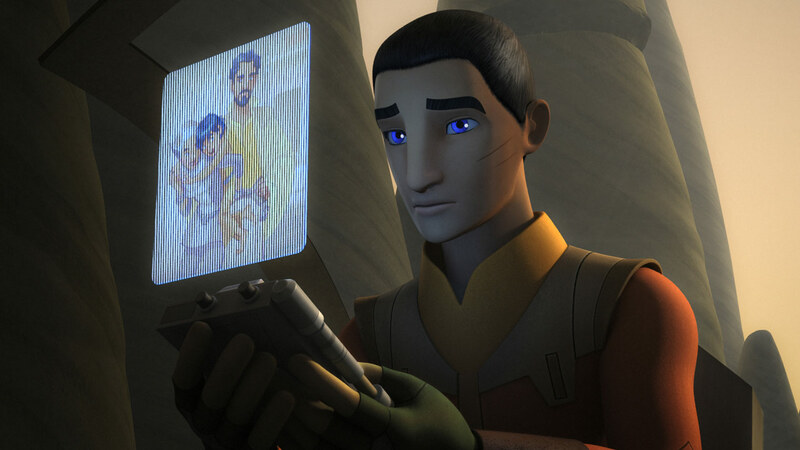 Hera hearing him talk to his parents about his new family and how he feels about them is also powerful…as are the small goodbyes Ezra gives along the way, especially when you realize he knows his potential fate. 2. Arihnda Pryce and Ruhk. Love them or hate them, Rukh and Arihnda Pryce are loyal to Thrawn and the Emperor until the end. Facing down Loth-wolves, multiple enemies, a Jedi, and any number of obstacles, they both go down with the ship as the dome explodes. Granted Rukh had no choice, but they were formidable foes. 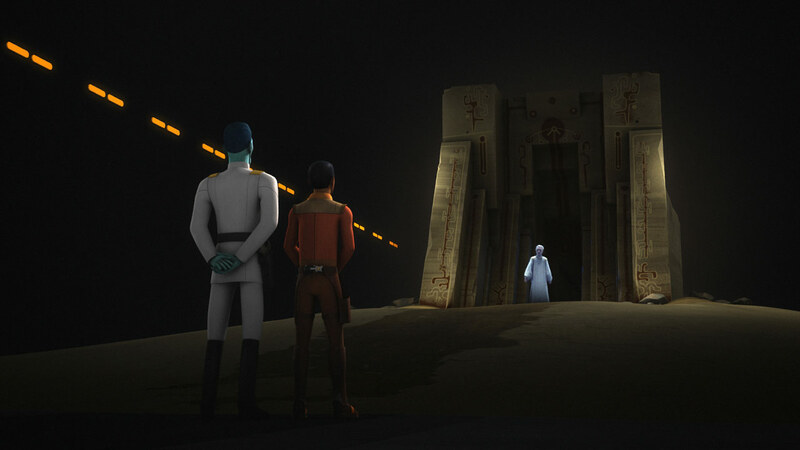 It also means neither of them survived to relaunch the mission to take Lothal, which is also a good thing. 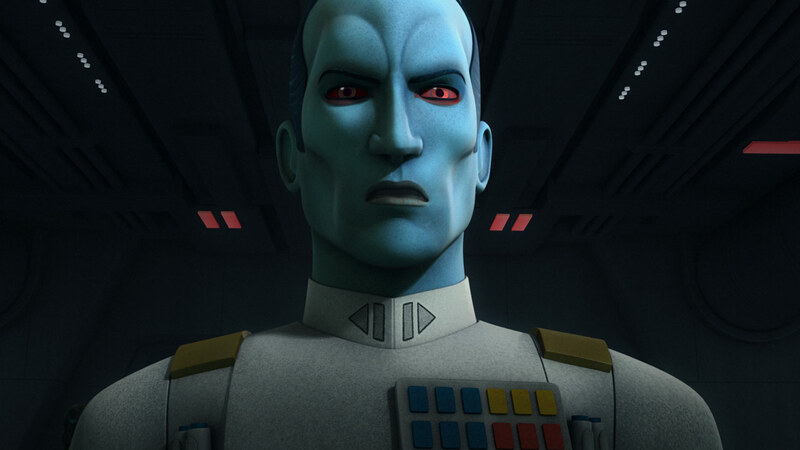 Ezra’s gambit with Thrawn backfires as Thrawn turns his batteries against Lothal and demands Ezra’s surrender. 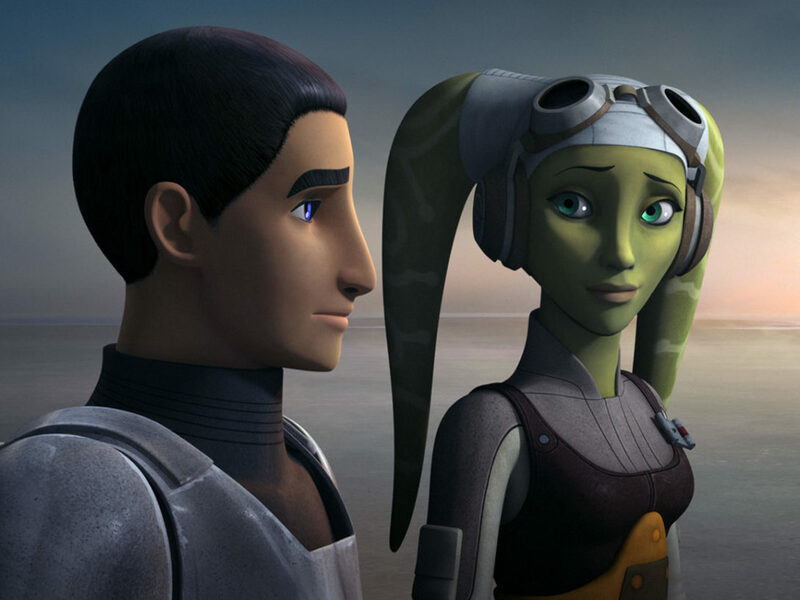 Hera assures him there’s another way, but Ezra is determined to see this through. 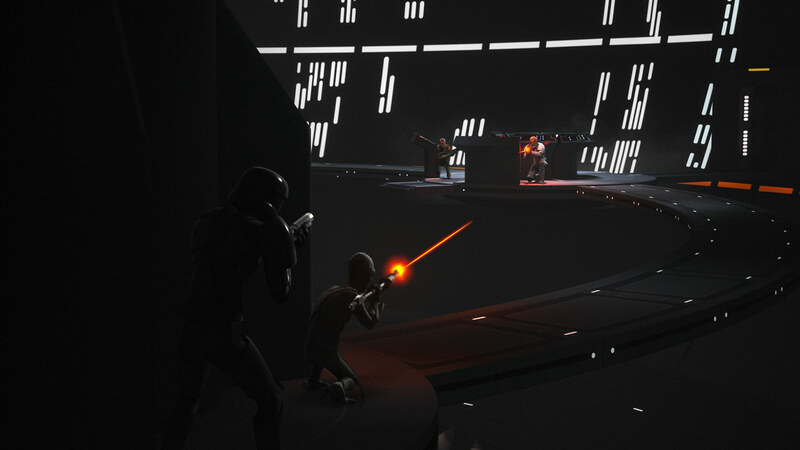 He heads to the Imperial base and goes up into the vents “one last time” as Sabine plays distraction. 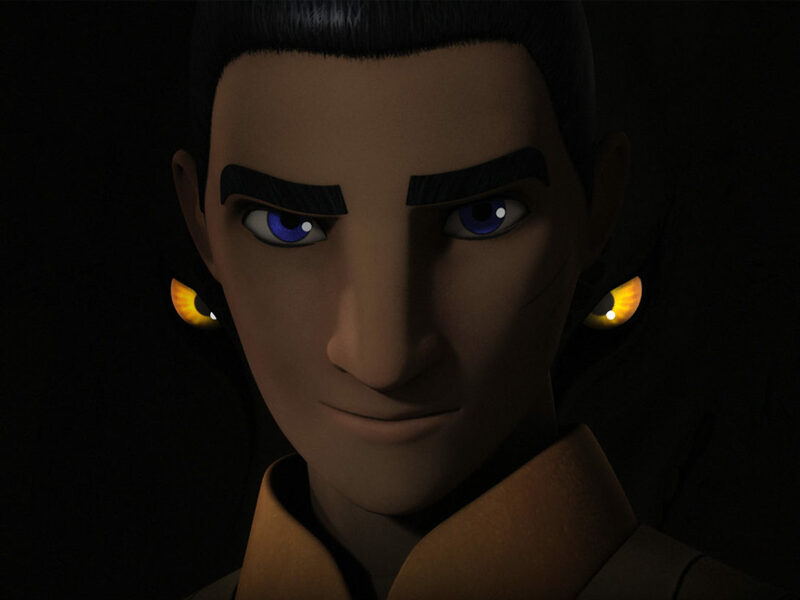 The first time we met Ezra Bridger, he went up into the vents of the Ghost to get out of a locked room. 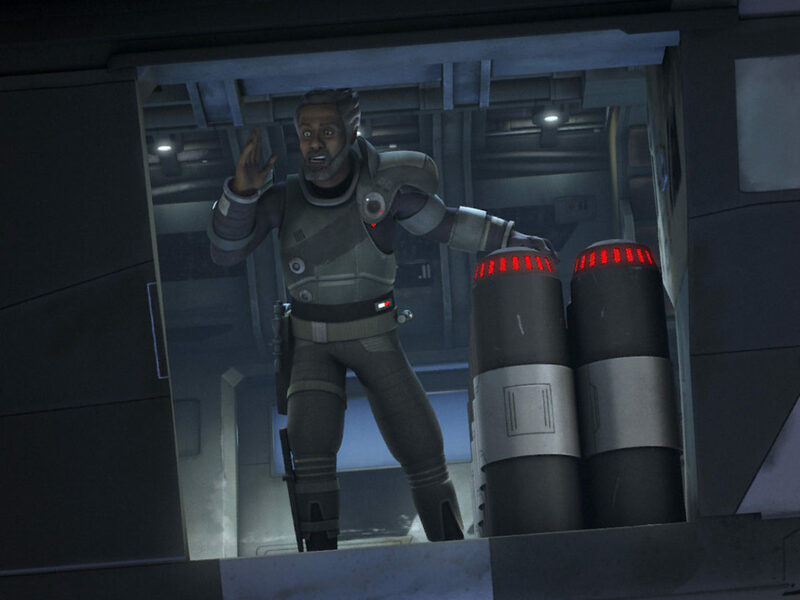 Ezra in the vents has been a long-running theme on Rebels and there’s a perfect symmetry in the vents being the way he gets out of the locked control room to face Thrawn. It’s been a long time coming and it was a powerful moment. Thrawn and Ezra discuss the Jedi and power, strategy over selflessness. You can even say that Thrawn is right when he explains the state of the Jedi at the time because they are scattered and in hiding. But Thrawn’s view on things is strictly strategic. He deals in what power can give him and something as ephemeral as the Force is something he leaves up to his Emperor. It’s clear that Thrawn serves the Emperor because it serves in his own best interests — and the Emperor wants Ezra, so Thrawn delivers Ezra to him.. The Emperor’s skill at turning Jedi to the dark side is rooted in his ability to understand what fears, regrets, or losses reside in someone’s heart and then offering it to them. He appears as a kind figure who’s just there to “help” and offers Ezra “what might have been and what yet may be.” In the end, Ezra gets his moment with his family, but he destroys the gateway and the Emperor shows his true face. Ezra echoes Luke Skywalker’s “You’ve failed, your highness,” telling him, “You’re wrong. I have a family. I don’t need anything from you.” That’s the key, isn’t it? 6. The fights, the laughs, and the losses. The battle in the shield room, the fights in the hallways…all of them are spectacular. There’s Hondo and Ketsu with the comic relief and Zeb’s ferocity and bravery as he takes on Rukh, right alongside a real gut punch: the loss of Gregor. Gregor gave his life for a cause he chose to believe in and he went down fighting. But it doesn’t make it easier as we watch him and Rex say goodbye. Once upon a time, Mart Mattin wanted to fight the Empire and take out a Star Destroyer (even if he didn’t know what they actually looked like). Now he’s leading a special mission with Vizago and Wolffe that brings the purrgil to the rescue, and Mart finally gets to destroy multiple Star Destroyers. 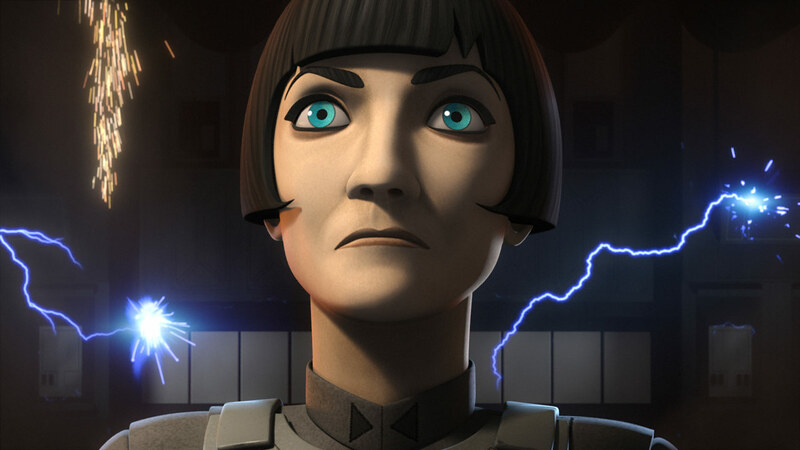 Seeing the purrgil return as allies to the rebels and use the size and abilities Hera Syndulla once hated them for is another reminder of how full circle we’ve come here. 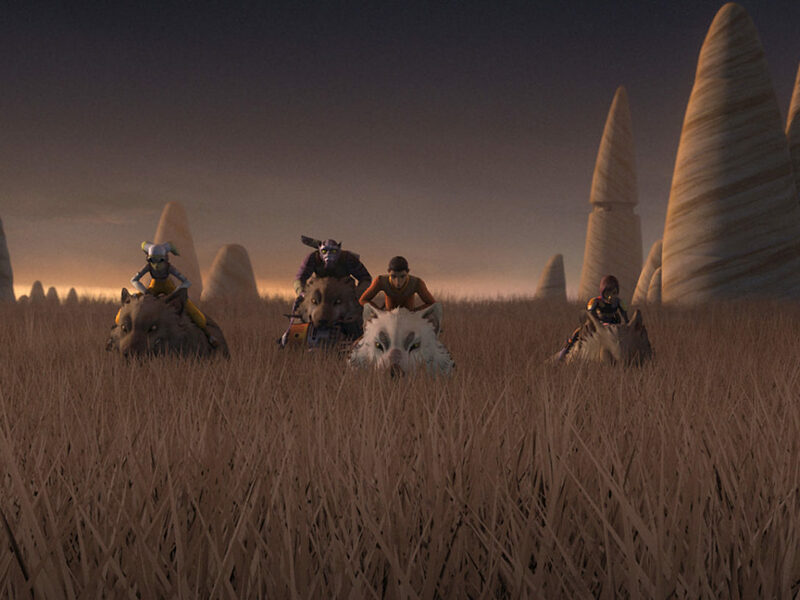 It also shows the beauty of Ezra’s ability to connect with creatures and how the Force really is created by all living beings. 8. The will of the Force. Ezra blinked before. He doesn’t have to now. When Ezra assures Thrawn that this — the surprise purrgil attack — is all part of the plan, we realize the Padawan’s ready to sacrifice. Much like his master — for the greater good. He even takes the same position as Kanan on the fuel pod. Whatever happens, he’s seeing it through to the end. Then, he’s gone in hyperspace. 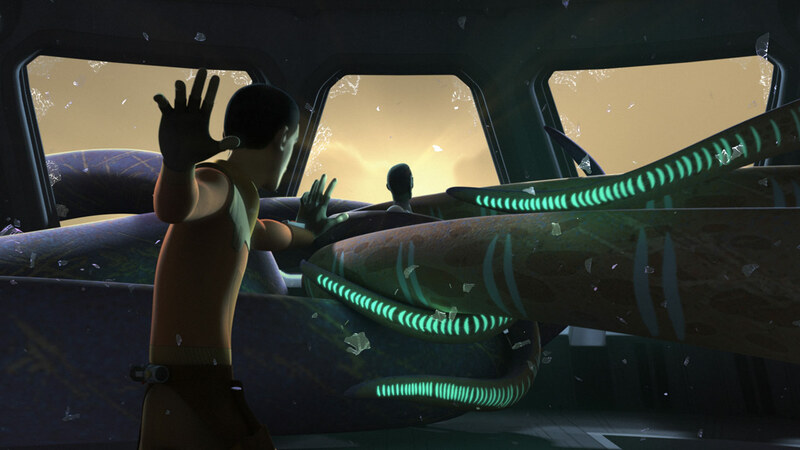 Ezra’s sacrifice gives Hera and the team the ability to launch the dome and escape before it explodes, sending a message to Lothal that the Empire has lost. Chopper and Sabine even save Ezra’s lightsaber before they get out, which may come in handy one day. In another sign that Ezra knew this was coming, he’s recorded a message to them all. He tells them goodbye and that Kanan showed him the way. But he hopes to see them again someday. Will he? How much time has passed isn’t clear, but it’s post-Battle of Endor. 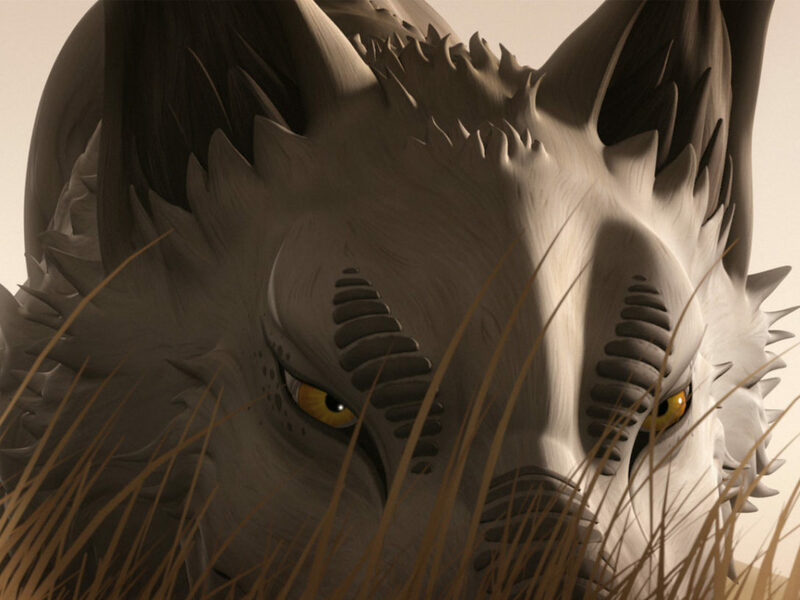 With the Empire gone, Lothal has flourished and become the city Ezra once saw in his visions. 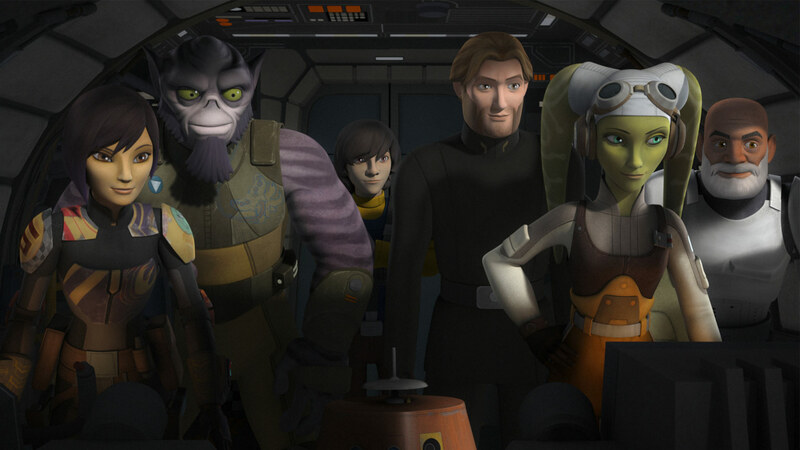 We learn that Zeb and Kallus went to Lira San together; Hera and Rex fought in the Battle of Endor (confirming a lot of fans’ hopes); and we meet Hera and Kanan’s son, Jacen. He has his mother’s love of flying. I wonder what he inherited from his dad? 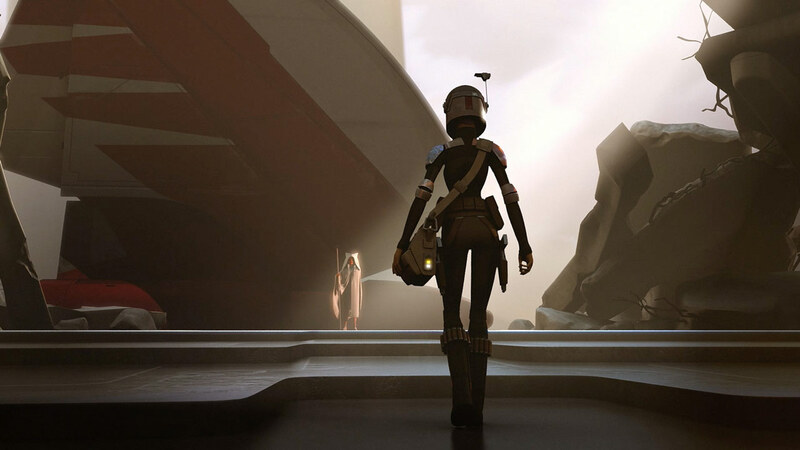 With one last look at the mural she painted, Sabine turns to see Ahsoka, and both of them go off to find Ezra. He’s out there somewhere. And it’s time to bring him home. 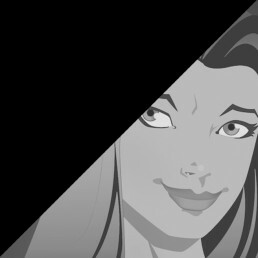 Those were my moments for this week’s episode and thank you for reading along over these last four seasons. Tell us what your favorite moments were in the comments and may the Force be with you!